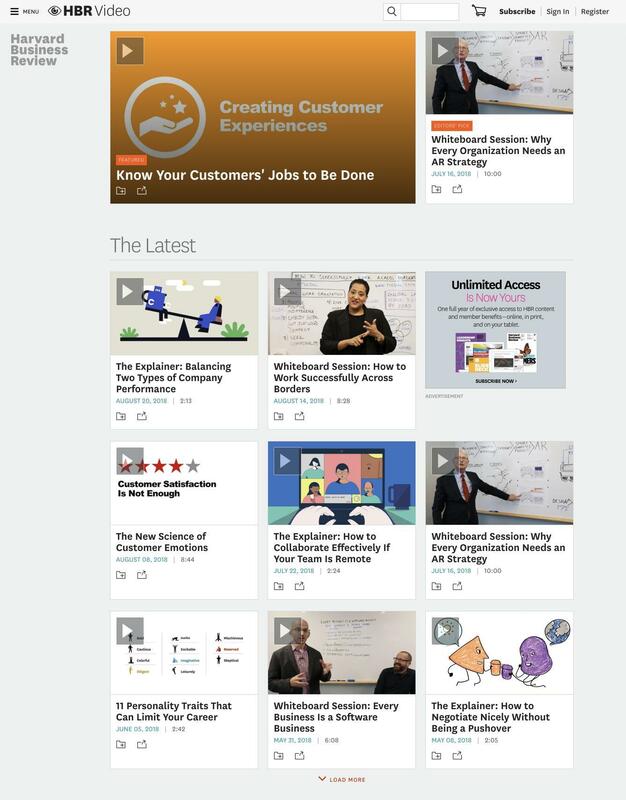 I worked with the design and product teams to conduct foundational research, create and test early prototypes for HBR.org's redesigned video experience. During the course of the project, I employed a multi-pronged research approach to help our team understand how users interact with video content. In addition to conducting foundational and competitive usability testing, I worked with the team to create, test and iterate on prototypes of the new video section. I balanced the approach by doing benchmark usability testing pre- and post-launch. Video represents a significant opportunity for Harvard Business Review to engage its international audience. The experience users were living before the redesign was sparse and poorly laid out, and included clunky extra code that broke the experience on mobile. My goal for this project was to help the design and product teams make informed choices on the work we would be designed. After leading the team through an experience brief exercise to establish goals and research questions, I kicked off a variety of research projects—some planned, and some opportunistic. 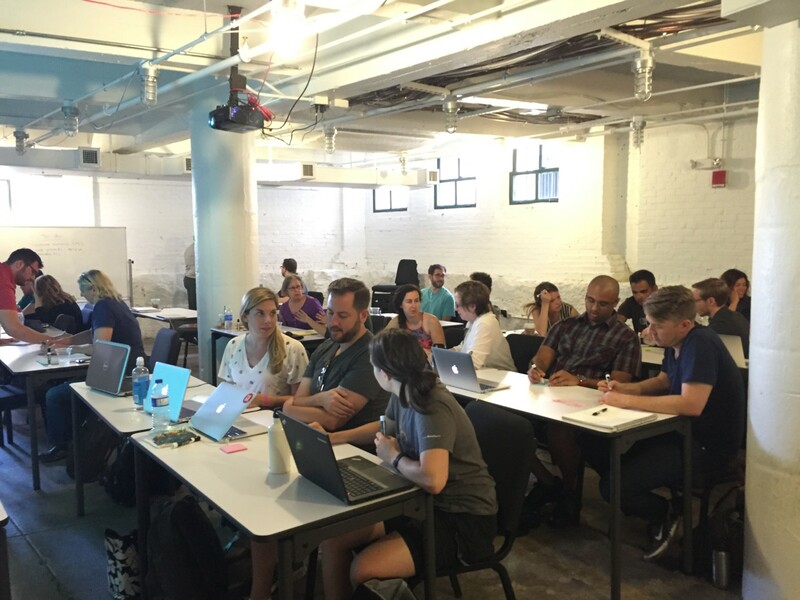 At the time, I was teaching the UX Bootcamp at General Assembly, which provided a perfect opportunity to do some guerrilla research on how professionals consume and learn from video experiences. The data ended up informing our customer personas, which were focused on how professionals consume and organize educational content. At the request of the product team, we also conducted usability testing on a set of competitive video experiences, including TED, Bloomberg Business, New York Time Video, and The Atlantic. Video autoplay was really not popular, and was more likely to make participants angry. Carousels weren't a useful way to navigate; users were very used to scrolling down the page to find a video that was interesting. Large videos, when they weren't full screen, were distracting, particularly when surrounded by different content, such as a banner. Through this research, we started to iterate on an updated experience for both the main video listing page, and the page for an individual video, which featured some descriptive content, captions, and a set of related videos. 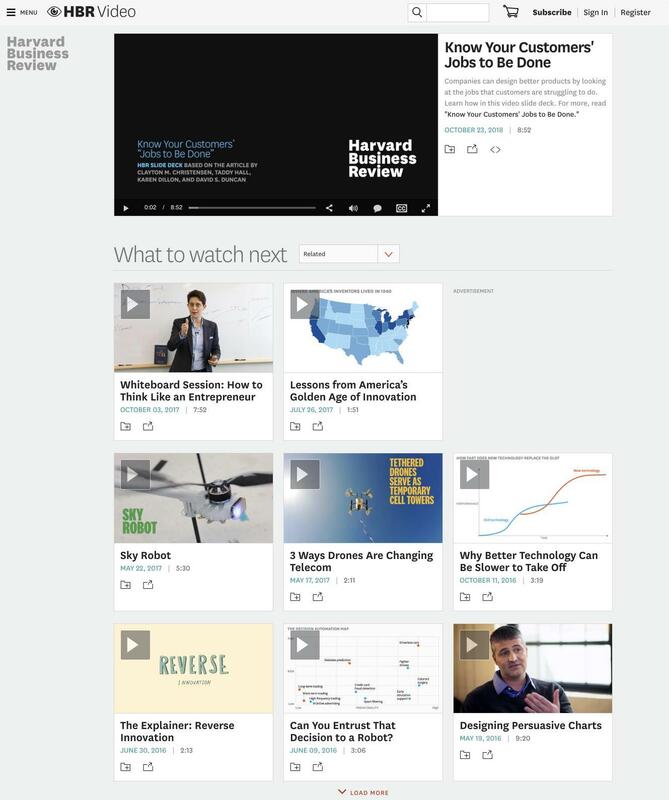 The updated HBR.org Video section, including a series of playlists for users to explore. When someone goes into watch a video, they receive a focused experience that gives them some contextual information about the video and makes it easy to find a related video once they're done.